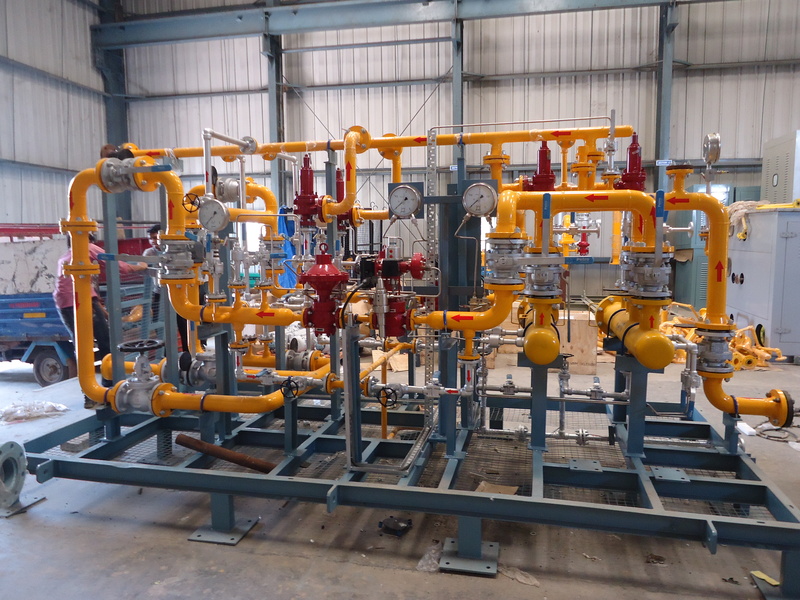 Our experts are trained specially and familiar with all functional part of Natural Gas Pressure Regulating and metering skid equipments in Gas IPRS / MRS / DPRS etc. We undertake Maintenance contracts, which relieve our customers and guarantee that the maintenance work will be carried away during predefined time period irrespective of the problem noticed or where ever the problem reported. We stock all necessary emergency spares to support our esteemed customers. Our service dept is able to carry out maintenance works and repairs as well as conversions on site. Completed work can be tested fully functionally as per IGE requirements. We have our service vehicles, fully equipped with all necessary tools and equipments to normalize the equipments in shortest time, cost effectively. We have our test set up in the workshop to carry out the pressure and flow test for regulators, safety valves and slam shut valves. A fully trained person, knowing the functionality of the Natural gas Pressure Regulating and metering modules, Bechlor of engineering and diploma engineers fully trained on Nirmal’s equipments. A fully trained on repairs jobs on Valves and knowing the safety rules work under skilled persons. To carry out above functions skilled and semiskilled persons are required. • Dismantling of the valves and check all the components. • Cleaning of the valve body and parts. • Full functional test and resetting of the requested set points. • Checking of Set point for Active and monitors for active and standby streams. • Calibration according to manufacturer recommendations. • Calibration help can be provided as per industry standards. • Pressure and Temp Calibration. • Checking the soft Disc / metal surface for damages, replace / repair the same. • Calibration of I to P , Positioner and strokes of the valves.